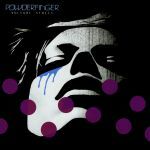 My favourite album by Powderfinger . A solid album but I don't think it's my favourite of theirs. Held up mostly by hit singles in "(Baby I've Got You) On My Mind" & "Sunsets". A good album but not their best work. Standouts are On My Mind, Love Your Way and Since You've Been Gone. Incredible album, but still not as good as 'Odyssey'. Say what you will, but 'Odyssey' will never be topped. From here, 'Sunsets' is the best but there's so much awesomeness here it's almost Franz-like.